And despite the “conventional” wisdom about options trading, it’s shockingly easy. Find out how simple it is to haul in fast, triple-digit gains with this special report, “How-To Series: Start Profiting with Options in Two Easy Steps” – and the best part is, it’s yours free. 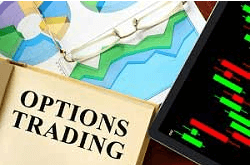 Thanks to technological advancements in the last decade and fierce competition for your investing dollars, it’s now very easy to get started with options. Approvals can take just minutes, trades on liquid options can be completed instantaneously, and commissions are a fraction of what they used to be. So sign up below to access this options trading tutorial today and get started immediately!